Ureteropelvic junction obstruction can be complicated by the presence of renal stones. Correction of the ureteropelvic junction, necessary to prevent stone recurrence, and stone removal consisting of open pyeloplasty and pyelolithotomy or percutaneous pyelolitho-tomy followed by endopyelotomy performed at the same setting have been the gold standard (42). The open approach has a success rate of 90% but is associated with more postoperative pain and prolonged recovery. On the other hand, the minimally invasive percutaneous approach is associated with lesser morbidity, faster recovery, but also lower success rates (64-85%) (3,43,44). In an effort to achieve better results and less morbidity, concomitant pyelolitho-tomy and pyeloplasty were attempted using a laparoscopic approach. Both retroperi-toneal and transperitoneal access have been reported (45,46). In the largest series of laparoscopic pyeloplasty and concomitant pyelolithotomy reported by Ramakumar et al., spoon forceps, basket graspers, and holmium laser were used for stone removal or fragmentation (20). 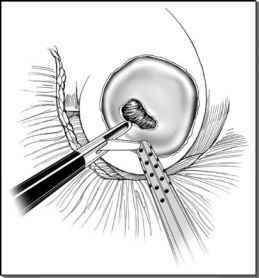 A flexible cystoscope was introduced through one of the working ports to detect and remove calculi located in calyces, especially those in the lower pole.